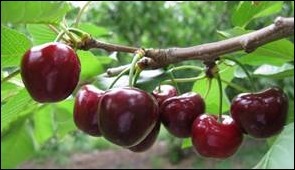 In the early days of Pay for Performance, many physicians and patient advocates worried about the practice of cherry-picking patients. They feared physicians would refuse to take more complicated patients who might negatively impact their quality metrics. We didn’t see a significant spike in situations where patients were terminated from the practice, but in those days, the stakes were significantly less high than they are today. Today we not only fail to realize an incentive if our quality doesn’t measure up, but we are at risk of actually being penalized. This grates on those of us who strive to do right by our patients but simply can’t control their behavior no matter how much motivational interviewing we conduct, what support systems we provide, or how well we try to partner with our patients. I’m wondering if we’re about to start seeing the feared spike in patients who are asked to leave physician panels. My suspicions started when I saw a recent article in one of the throw-away practice journals that talked about the “right” way to terminate a physician-patient relationship. Some of the overtones involved patient non-compliance. I’m not against the idea of terminating a patient for failure to follow the care plan, but have only done it when the patient’s failure to follow the plan was directly putting their life at risk and I felt that we had reached an impasse where they no longer trusted my judgment and I could no longer be effective as their physician. Since that first article, however, I’ve seen at least three more. The most recent one specifically addressed the idea of terminating patients when their failure to comply impacts quality measures. Some of the concepts discussed were well past the “slippery slope” stage, so I hope this isn’t where we’re headed. I had a recent experience where a patient who was branded as a controlled substance drug seeker turned out to have a much more complicated situation. Although she indeed had become dependent on narcotic pain medications while appearing to have no physical findings to support the need, she was eventually found to have an extremely rare condition that was only identified after visits to multiple specialists across several disciplines. Her pain was legitimate, but vague enough to make her potentially appear as if she was a liability concern. I personally had only seen her once before and she expressed concern about making sure that her records reflected her recent surgery. The only problem was the fact that she was again at the urgent care with pain, stating her regular physician was unreachable and that the medications she had at home were not working. Thinking about it from the other direction, though, putting on my value-based-care hat, it would certainly be cheaper to keep her in an ambulatory practice and just keep her supplied with pain pills than to get her into a pain management treatment program or have her turn up in the emergency department (at least in the short term). That’s where the equations measuring quality, cost, and access become less reliable than they might otherwise be. A reader asked about my recent purchase of a Surface Pro 4 just prior to the holidays and what I thought about it after several weeks of use. Other than some self-inflicted casualties (like deleting my Outlook data file on accident and purging my trash before I realized it) it’s been a generally good experience. I love the fact that it’s more powerful than my previous laptop yet much lighter, although the keyboard is such that I can’t use it on my lap without a lap desk. I haven’t used it much in non-keyboard mode but the ability to use the touch screen while typing (just reach up, swipe, tap, whatever) feels like it’s more efficient than mousing or using the keyboard’s touch pad, especially when working with PowerPoint. I had some initial bad experiences with the charging cable. Although it’s cool and magnetic, it’s at an odd place on the tablet and the cord seems pretty short. Because of the length and position position, it’s always bent at a 90-degree angle, which I’m guessing will wear it out. It would be “plugged in, not charging” for no good reason. That seems to have settled down quite a bit, but I haven’t figured out the battery life. On my trusty Dell laptop, when it hibernates, it uses no power at all. The Surface seems to consume power even when it’s in sleep mode, sometimes akin to the way that college students consume tequila on spring break. It’s intermittent, though, and I can’t find a pattern. The only other negative is because I’m a creature of habit, and that’s the problem that I can’t run Microsoft Money on Windows 10 without hacking the registry. (Yes, I’m using software that was sunset in 2009, because it’s free, works well, and provides continuity for my data.) I’m looking for new financial software, though, and would appreciate any recommendations. I use QuickBooks for my consulting business, but it’s more trouble than I need for home finances. Bottom line though, I’d still buy it again. Two of the vendors I work with have gone to Surfaces for all their executives, which is what finally convinced me to take the leap. I finally had some quality time to sit down today with the HIMSS agenda. I was hoping to plot out a strategy for trying to obtain the American Board of Preventive Medicine LLSA credits required for those of us who are board certified in clinical informatics. Those of us who certified in the first year have to finish 30 hours by the end of 2016 and unfortunately my recent trip to the AMIA Symposium didn’t net me as many as I had hoped. Although the conference says it’s approved for up to 19 hours of LLSA credit, I couldn’t figure out how to determine which of the 300 sessions were approved. ABPM is fairly picky about how they give credit and attendees generally have to complete questions for each activity, so I want to make sure I do it right. I found a couple of links but unfortunately became trapped in a circle of “page not found” errors. Have you cracked the code for LLSA credit? Email me.